It won’t come as news to most people who live in this area that there are questions around the safety of the Red Hill Valley Parkway. 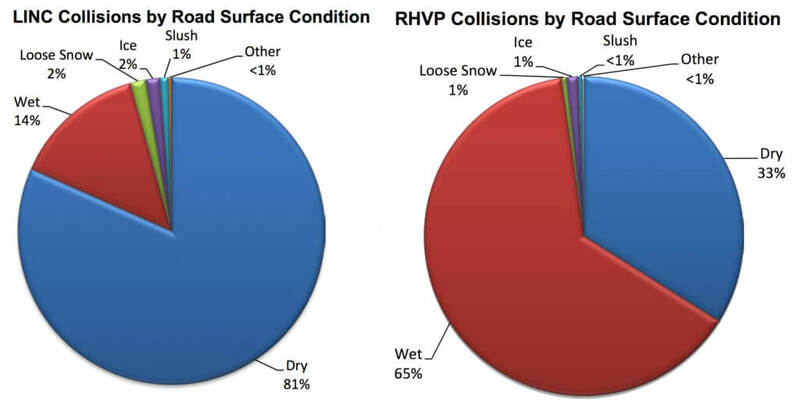 Rumours about design and construction problems have been floating around for years, and the RHVP has seen more than its share of serious car crashes, with several involving fatalities. The City of Hamilton recently released a statement making public a 2013 report detailing results of a friction study of the Redhill road surface. The testing compared the RHVP’s friction levels in wet conditions against a standard commonly used in other jurisdictions, and found that most of the RHVP fell below or well below the applicable standard. This raises the possibility that cars may not be able to get sufficient traction on the road in wet conditions, and many people are inferring that this may explain the prevalence of accidents on the Parkway since it was built. Many have raised the prospect of car accident lawsuits against the City based on this revelation. What does this mean for the City’s legal liability? 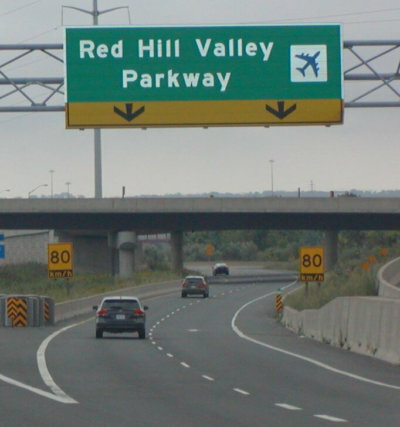 Even though it looks and feels a lot like a provincial highway, the Red Hill Valley Parkway is actually a municipal roadway for which the City of Hamilton is responsible. it was acting in accordance with minimum standards set by the province. This is why a report like the one recently announced could be so significant for the City. If the City could establish that it didn’t know about this aspect of the dangerous conditions on RHVP and that it couldn’t reasonably have known, then it might be able to escape liability. But if the City had a report (or should have had a report) specifically warning them that the surface fell below or “far below” a recognized international safety standard, it is going to have a difficult time proving it didn’t know (or shouldn’t reasonably have known) about the potential disrepair. The City might try to defend itself by relying on the second defence noted above, arguing that it took reasonable steps to address the safety issues raised by this report. As a recent motion at Council went to great pains to point out, the City has requested some investigations into the safety of the RHVP and has taken steps to change signage, lighting, and other safety features on the Red Hill in the past. But it may be difficult for the City to prove that it took appropriate steps to address the particular concern raised in this report, while at the same time arguing that it never actually saw it. And the City can’t rely on the third liability defence, since there is no applicable provincial minimum standard it can say was complied with. A fourth defence the City might try to advance is that the road is in fact just fine, despite falling “well below” the standard, since that particular standard isn’t one they were required to comply with in the first place. In one sense, this is true: this is not a legislated standard in Ontario. However, when considering what is “reasonable in the circumstances,” the analysis does not stop at legislated standards: courts will look to a broad range of factors to define the standard of care expected of municipalities, and it seems likely that actual (or constructive) knowledge of a potential problem this significant would require a reasonable municipality to take some action to address it, or to at least investigate further – particularly when corroborated by data the City had about collision frequency and types on the Redhill. So we can’t say for certain that this report is a game-changer for the City’s liability for crashes on the Red Hill, but it sure doesn’t look great. Okay, so maybe the City screwed up. But that shouldn’t get the bad drivers off the hook! You’re right! But people often forget that there can be more than one cause of an accident – tort law is rarely black & white. A driver who is driving faster than they should for the conditions and crashes is probably going to be one cause of the crash. But a road surface that can’t safely handle a car driving at foreseeable (if not ideal) speeds in foreseeable conditions can be a contributing cause. A negligent driver and a municipality in breach of its duties can both share liability for a crash. Cities know that ordinary drivers are not perfect, and they have a duty to design their roads with that in mind. If they fail to design for foreseeable behaviour and conditions, they can be held partially liable for a crash. So does that mean the City is going to be on the hook for every crash on the Red Hill since 2013? Not necessarily. A Plaintiff would still have to prove that the substandard road surface suggested by this testing was actually a cause of the crash, and that the City fell below the reasonable standard expected of them in leaving the road in that condition. This might mean retaining their own engineers to analyze the data and the crash details to confirm if the crash could have been avoided if the road had been maintained to a reasonable standard. What about deadlines? Don’t limitation periods apply? In most cases, people have a maximum of 2 years to sue someone after an injury under Ontario’s Limitations Act, 2002. So if the accident happened within the last 2 years, this would not be an issue. But even if the accident happened more than 2 years ago, the City may still be in trouble. The 2 years doesn’t start to run until the Plaintiff knew or ought to have known that a Defendant’s behaviour was one of the causes of their injury. If an injured person could establish that they had no reason to suspect that the road surface and the City were causes of their accident until this report became public, it is possible that the release of this report could allow lawsuits to be started for accidents that occurred more than 2 years ago. If a Plaintiff had already started a lawsuit and sued others for an accident that happened more than 2 years ago, they might in theory be able to start a new case against the City or add them to an ongoing case based on this same argument. But if the person had been fully compensated for their losses already by the other defendants, there might be nothing left for them to recover from the City (except, potentially, for non-compensatory [i.e. punitive] damages, but that’s a bigger topic for another article some day). In such a case, the City would have to worry less about getting sued by the Plaintiffs who have already been compensated, and more about getting sued by the other Defendants who are seeking a contribution from the City towards the damages they already paid out to the Plaintiff. So what does all this mean for people injured on the Red Hill and their families? Every situation is going to be different, and it’s unfortunately impossible to give general advice that will apply to everyone. The best advice we can offer is that people should speak with a local car accident lawyer as soon as possible to get individualized advice about their specific situation and the options available to them. Kennedy is a Burlington lawyer who practises plaintiff civil litigation with the personal injury lawyers at Martin & Hillyer Associates. His focus is on advising and representing people in insurance disputes, personal injury litigation and civil sexual assault claims.